As you probably know, the reason for Nik Collection being free is because Google has decided not to continue to develop or support this software. It doesn’t mean that you cannot use it. You can use it for as long as it continues to work on your PC or Mac. You just cannot rely on it being a stable solution in the future. A Mac or PC update might force you to look elsewhere if the software stops working. The same goes for a Lightroom or Photoshop update, which can also cause Nik Collection plugins to stop working. I still enjoy using Nik Collection and will continue to do so for as long as I can get it to work on my Mac. I am especially going to miss Viveza and Silver Efex Pro. However, I also have to look at what I will do when it no longer works. As you might have read in one of my latest articles, I find that Luminar might be up for the challenge to take over from where Nik Collection left the game. 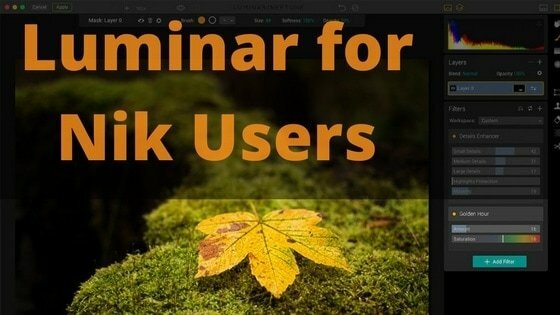 Let us take a look at the main differences and similarities between Luminar and Nik Collection. If we start off with the latter, you will soon discover that the full-featured photo editor is very similar to that of Color Efex Pro. 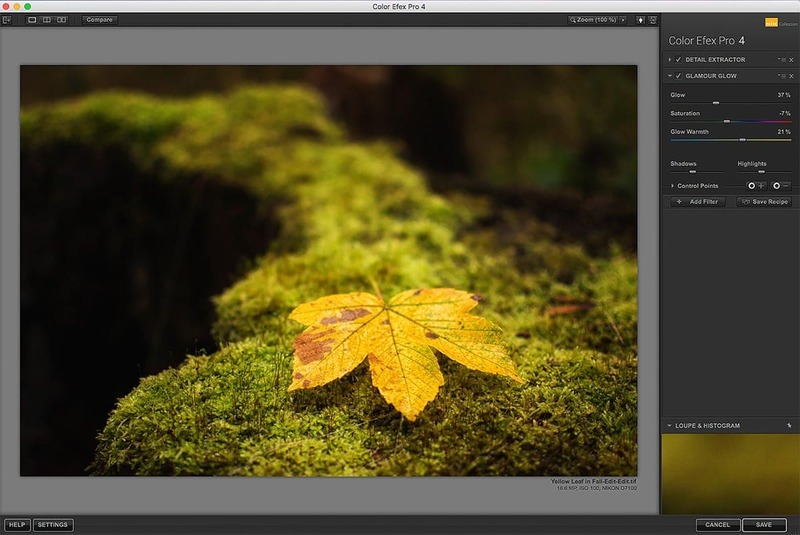 In Color Efex Pro you begin with a clean slate and you apply the filters you find necessary to process your photo. Luminar works in the same same, where you can start with a clean slate and then add the filters that you find useful. However, Luminar also comes with some built-in workflows, for portraits, street or landscape photo. Essentially these workflows are just a suggestion of the most common filters needed for editing specific types of photos. I suggest that you use other filters as well. In Nik Collection only one filter is visible at a time if you have multiple filters. The rest of the filters collapses so you cannot see the sliders and settings. I guess this is an attempt to simplify the user interface a bit. However, in Luminar you can see all the settings in each filter that you applied to a photo at once, without having to make the filter settings unfold before you can make changes to it. A seemingly unimportant improvement, but it does save you some mouse clicks and gives you a better view of all the settings applied to your photo. How Different are the Filters in Luminar Compared to Nik Collection? There is a pretty good filter naming match between the filters that you will know from Nik Collections and the filters that you will find in Luminar. Bi-Color Filters in Nik is called Bi-Color Toning in Luminar. Detail Extractor in Nik is called Details Enhancer in Luminar. You cannot find a Darken / Lighten Center filter in Luminar like you can in Nik. Instead, you can set the center in the Vignette filter in Luminar and control the Inner Brightness, which is exactly the same thing as the Darken / Lighten Center filter does in Nik. The Graduated Neutral Density filter in Nik is called Top & Bottom Lighting in Luminar. As you can see the naming in Luminar is pretty straight forward and similar to what you will find in Nik Collection. If you take a look at the options you have for the different filters in Luminar, you will find that both the design and sliders look a lot like the slider that you know from Nik Collection. So for a Nik Collection user, the transition to Luminar is fairly easy. One of the great benefits that Luminar has over Nik is that you can keep more of your workflow within Luminar than you can in Nik Collection. You might argue, that if you want to keep the workflow in the fewest number of apps as possible, why not just stick with using Lightroom. 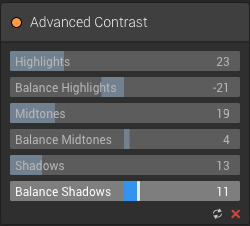 I think that most Nik and Luminar users chose to use a plugin to gain more control over photo editing process than what Lightroom offers. A number of the filters in both Luminar and Nik gives you a level of control that you simply cannot get in Lightroom, while still being much more simple than doing it in Photoshop. Luminar comes with some tools the standard photo editing tools that you know from Lightroom, like a cropping, spot healing, eraser and a stamp tool. These were all missing from Nik collection, which shows that Macphun’s idea with Luminar is that it should be more than just a plugin to apply extra pop to your images. By including the option to work with layers, Luminar makes it possible to avoid round-tripping to Photoshop for blending images. With layers, you can actually apply entire presets to different adjustment layers and choose to brush in preset effects in specific parts of your image. Simply click on the + icon in the Layers Panel in Luminar and select to add a new adjustment layer. With the new layer selected choose the Luminar preset that you want to apply to the layer. The preset will be applied to the whole image in the beginning. However, just choose one of the masking tools and apply it where you want to the preset effect. This will remove the effect from everywhere else than where you mask with the brush or gradient tool. When you are happy with i.e. the effect you applied to i.e a mountain or another object, just create a new layer by using the + icon in the Layers Panel. Now, choose a preset that fits i.e. the sky. Again, the preset is shown on the entire image until you use a brush or one of the other masking tools. In this way, you can work with both filters and presets and apply them to different layers and parts of your image. Just like Lightroom, Luminar features a gradient tool, brush tool and a circular masking tool. I Nik you are limited to using only control points. I love the control points in Nik and they are very powerful, but from time to time, I must confess that I missed having a gradient tool in Nik. You can apply a mask to either layers or individual filters giving you incredible flexibility. The only, but a somehow significant downside in Luminar is that for the moment it doesn’t have a smart selection tool, like the control points that you know from Nik. Even Lightroom includes an auto mask brush. I really hope that this is one of the things that is improved in the next version of Luminar. It makes masking so much easier with an auto-masking brush. If you use Luminar as a plugin to Photoshop, you can apply the filters you want in Luminar and then back in Photoshop you can use Photoshop’s own selection tools to create and refine a layer mask to select the areas in the photo where you want the effect to be visible. Just like in Nik Color Efex Pro, you can apply multiple filters and together these can be saved as a recipe, that you can apply with a single click. In Luminar this is just named presets, but essentially it is the same. What Limitations Will You Find In Luminar? So far Luminar is just a photo editor, which means that image library management or digital asset management is lacking. But, so is Nik Collection. So you still have to hang on to you image library management software like Lightroom a bit longer. Macphun has already announced the digital asset management is something to expect in the future. While writing this Luminar is only available for Mac in a stable version. 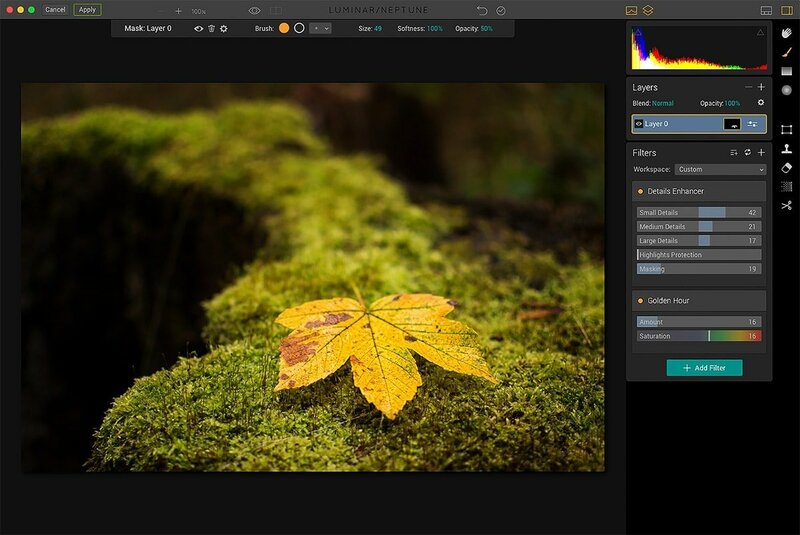 However, Luminar for windows is on its way, as Macphun has released a live public beta version of Luminar for Windows. So there is really no excuse for not giving Luminar a try. Does Luminar have an equivalent to NIK Tonal contrast? Nik Collection is bought by DxO Labs in november 2017. In Juni 2018 they launched a payed update. ($ 70). Updated stabity with most recents OS’s . Both Windows and MAC. Is there a equevalent of ‘Vivenza’ in Luminar ?